F. Show that your community offers the public information on how they can control and remove invasive species in order to improve or maintain bird habitat. Information on the City’s website directs readers to the WI DNR website for information on invasive species identification and removal, including Buckthorn, garlic mustard, and others, so they can identify and manage invasives on their own property. Here is the information from the City of Hudson website: "An important part of creating safe habitat for birds is ensuring the removal of invasive species. There are many non-native plants in our state that without natural controls can overrun native species. There is information available to help citizens identify and remove invasive species at the Wisconsin DNR website. After removing the invasive plants, consider planting native species to attract birds and other pollinators to your yard." L. Show that your community has restored at least two acres of woodlands, wetlands, or prairie. N. Show that your community works on public lands to control invasive species that have significant negative impacts on bird habitat. The city is actively working on removing buckthorn from city property through partnerships with Rotary International and community businesses, several workdays have been completed to remove buckthorn in Prospect Park. A grant is in process to use goats to assist in the continuing effort to remove buckthorn in Prospect Park in the city of Hudson. A. Demonstrate that your community has been awarded Tree City USA status by the National Arbor Day Foundation. The City of Hudson is a Tree City USA. Here are two links documenting our status as a Tree City, USA, which was initially granted in 2010: Arbor Day Foundation list of 2016 Tree City USA Communities (most recent listing) Tree City Directory, and an article describing our annual Arbor Day event Hudson Tree City Event. E. Show that your forester, a member of your tree board, or another person currently responsible for managing your community’s trees has completed the Wisconsin DNR’s Wisconsin Tree Management Institute. Tom Zeuli, Director of Public Works and Parks, has completed the Wisconsin Tree Management Institute, as reported in the August 7, 2010 Star Observer: Tom Zeuli Completes Program. B. Demonstrate that your community provides property owners with information on how to protect birds from window strikes (e.g., online links, brochures). C. Demonstrate that your community is represented in at least one citizen science bird monitoring program (e.g., the Christmas Bird Count, Great Backyard Bird Count, Swift Night Out). Hudson is a location for the annual Christmas Bird Count. The Hudson CBC is part of the National Audubon Society’s MNAF CBC or Afton Minnesota bird count. We report the results from the Wisconsin side separately to the Wisconsin Society for Ornithology as the Hudson Christmas Bird Count. A copy of this year’s tally and a map of the Hudson CBC count is attached in the documents section of the application. G. Provide a link to your community’s Bird City Wisconsin webpage, which must be visible from the main page of your municipal website (it may be located at the first level of a drop down menu on the main page but cannot be any less visible) OR demonstrate that your Bird City effort has a significant social media presence. Hudson has a link on their city website for Hudson Bird City Wisconsin. M. Show that your community participates in the Natural Resources Foundation’s Great Wisconsin Birdathon to raise money for your community and for statewide conservation. Tropical Wings is organizing an event for participation in the Great Wisconsin Birdathon as part of our 2018 International Migratory Bird Day celebration. Team captains will pick a date between April 15 and June 15, with several teams choosing to compete during the IMBD Bird Celebration in Hudson on Sunday May 13, 2018. A. This community's municipal body passed the required International Migratory Bird Day resolution. B. Document and describe your event that incorporates the annual IMBD theme in some fashion. If the event has not yet occurred, please share your detailed plans. For information on the current year’s theme and event materials, please visit the International Migratory Bird Day website. To see what other Bird City communities have done in the past, please view some other profiles on our website. Tropical Wings is planning the fifth annual Bird Migration Celebration which takes place in Hudson the second weekend of May each year. We use the International Migratory Bird Day theme each year, this year, 2018, the theme is Year of the Bird. We have a public reception, Art Contest and Show, and keynote speaker on Friday evening at the Phipps Center for the Arts in Hudson. Our keynote speaker for 2018 is Al Batt of Hartland, Minnesota. He is author of the book, “A Life Gone to the Birds.” He is a columnist for “Bird Watcher’s Digest” and writes for a number of magazines and books. He is a trustee of the American Bald Eagle Foundation in Haines, Alaska. Al hosted TV shows for many years and speaks at various festivals, conferences and conventions all over the world. He has received the Ed Franey Conservation Media Award from the Izaak Walton League, the Thomas Sadler Roberts Award from the Minnesota Ornithologists’ Union for lifetime contributions to birding and was recognized by Bluebirds Across Nebraska for outstanding contributions to wildlife conservation. The Friday night event at the Phipps also includes conservation organizations who join us to share information on efforts that foster bird friendly environments. 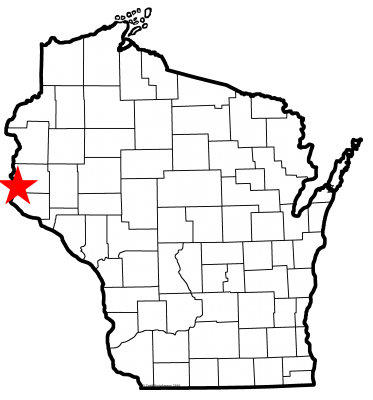 The St. Croix Valley Bird Club, National Park Service, Minnesota and Wisconsin Land Trusts, and Carpenter Nature Center were represented in 2017. Saturday events include bird and habitat hikes, bird banding and information at local spots throughout the St. Croix Valley, including Carpenter Nature Center’s Wisconsin Campus in Hudson. To edit existing photos (must be logged in) hover over the document to reveal the gear.